The US U-20 national team finished out the Caudrangular Internacional Tournament in Arequipa, Peru in poor fashion. After having lost spectacularly to Paraguay these young men tried to regroup, but could not match the talent of the other teams they played. Thomas Rongen has work to do. Against Colombia the U-20s were out shot by a wide margin and the Colombians controlled the game. Cody Cropper got the start in goal, but didn’t have a chance on either of the two goals the Colombians scored. The first goal was from a penalty kick awarded after a suspect foul. The second goal was just an excellent piece of finishing. A number of young fringe players got a chance to show Thomas Rongen what they could do. 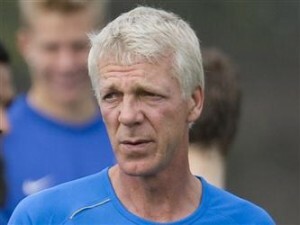 Unfortunately, the loss adds a negative color to any individual performances Rongen might have liked. In the next match against Peru the U-20s earned the lead, but gave up the win by allowing an 89th minute and a stoppage time goal. Samir Badr was back in goal and this game didn’t help his cause. The Peruvians were not as dominant as the Colombians, but the US was again out shot by a large margin. At least the young Americans scored a goal. A rematch against Peru was even worse with the US losing 2-0. In the end it wasn’t all bad as facing these teams on foreign soil was an excellent lesson for these young players. Thomas Rongen also got a chance to see some fringe players and make some decisions about who might be able to contribute in Colombia next year. In addition the players got experience playing at altitude, which changes the game a bit. At the same time this should be a wake up call for Thomas Rongen and his coaching staff that they will need to prepare their team better in the future if they want positive results. Four losses in a row just feels embarassing.